In what has been a packed couple of weeks, the world of Horizon 2020 hasn’t been standing still. Last week UK Research Office held their annual conference, which provided some really interesting reflection on the programme so far and also some thoughts for the future. Colleagues from the European Commission were out in force, with presentations from Wolfgang Burtscher (Deputy Director-General of DG RTD), Graham Willmott (DG HOME – Head of Unit, Innovation and Industry Security), Line Matthiessen and Elisabeth Lipiatou (both DG RTD and Heads of Unit for Fighting Infectious Diseases and Advancing Public Health and Open and Inclusive Societies respectively) to name but a few. Insights into opportunities for research into migration and mobility; Zika, Ebola and antimicrobial resistance; and security. (Ed – you’ll need to log into the UKRO portal to access. If you don’t have access and would like to sign-up drop us a line – euro_res@mmu.ac.uk). The message post referendum was very clear from everyone – it’s business as usual and UK research has a lot to offer to Horizon 2020 and vice versa! As trailed in previous posts, the thinking around priorities for the last phase of Horizon 2020 are well under way, with Advisory Groups starting to share their priorities. Forthcoming calls – we want to hear from you! There will be a number of deadlines in the coming months – Security, SwafS (both August 2016) , MSCA Individual Fellowships, Energy (both September 2016) and Health (October 2017). If you’re involved in proposals and haven’t been in touch yet please drop us a line at euro_res@mmu.ac.uk. Categories: Horizon 2020 | Tags: Climate Action, Energy, Ethics, Europe, Health, Horizon 2020, Open Science, Research, transport | Permalink. Our good friends at UKRO have provided a great article on the recent ‘Open Science – From Vision to Action’ conference in Amsterdam (you can read their report here – Ed. you’ll need to be logged in to access the article). The conference, a key event in the Netherlands EU Presidency bringing together a wide range of stakeholders, gave Commissioner Carlos Moedas (Research and Innovation) the opportunity to once again underline the vision for Open Science and its key role in engaging the public in the research they pay for. In his speech he was keen to emphasise the moral case for open access – ‘the public have the right to see the results of the research that they have invested in’ – as well as its contribution to income generation and increasing standards of research. The output of the conference – The Amsterdam Call for Action on Open Science – sets out two concrete aspirations: full open access for all publicly funded scientific publications by 2020, and a fundamentally new approach towards optimal reuse of research data by 2020. It also presents suggested actions for key stakeholder groups (national authorities, European Commission, research funders, publishers and the research community itself) to achieve these aspirations, considering barriers, infrastructure requirements and mechanisms to encourage adoption. As well as a broadening of mandatory requirements for open access publication and data sharing across all funders there are likely to be other impacts. We could be looking at fundamental changes to the way that researchers are assessed, evaluated and incentivised and the way publishing models work. We would also anticipate that there could be concrete opportunities for research to define some of these new approaches and models. Clearly, the soon to be established Open Science Policy Platform will have a key role to play in advising the European Commission (Ed. for more information on OSPP take a look at our earlier post here). The membership will be announced in late May , so we would expect things start to gain momentum after this point and we’ll bring you updates as we get them. What do interested observers think about The Amsterdam Call for Action? As a long-time champion of Open Science, the Blog was interested to hear the thoughts of Dr Sam Illingworth, Senior Lecturer in Science Communication, who was optimistic about the direction of travel. Categories: Funder Intelligence and Policy, Open Access, Uncategorized | Tags: Europe, Open access, Open data, Open Science, Research | Permalink. In early 2016, a 20 person OSPP steering group with representation from universities, academies, funders, publication association, existing platforms, libraries and beyond will be established. The steering group will be supported by eight working groups of up to 10 experts each, which will tackle: ‘Rewards’, ‘Altmetrics’, ‘Open Science Cloud’, ‘Changing business models for publishing’, ‘Research Integrity’, ‘Citizen Science’, ‘Open Education and Skills’, and ‘FAIR open data’. In the terminology of the emerging OSPP, these are ‘topics of policy concern’. Working groups will be launched in phases, with the topics of ‘Rewards’, ‘Altmetrics’ and ‘Open Science Cloud’ being the first to receive attention in 2016. The full text released by the European Commission can be found here. As a minimum, the policy direction coming out of the OSPP is likely to affect the way in which the Commission will expect researchers to behave in projects that it funds. Building on initiatives like the Pilot on Open Research Data, we’re likely to see additional elements introduced as pilots and over time you may be asked in more detail how your project is incorporating open science principles (Ed – there are already questions around publication and data management in applications to Horizon 2020, but we’d expect additional elements to be included as thinking develops). There will be opportunities for the research community to input into discussions and we’ll update you as the OSPP develops on how you will be able to have your say. For those of you interested in the background – or even a fictitious account of a day in the life of a researcher in 2030 – take a look at the Commission’s Open Science web pages here. You can also follow the debate via @OpenAccessEC. 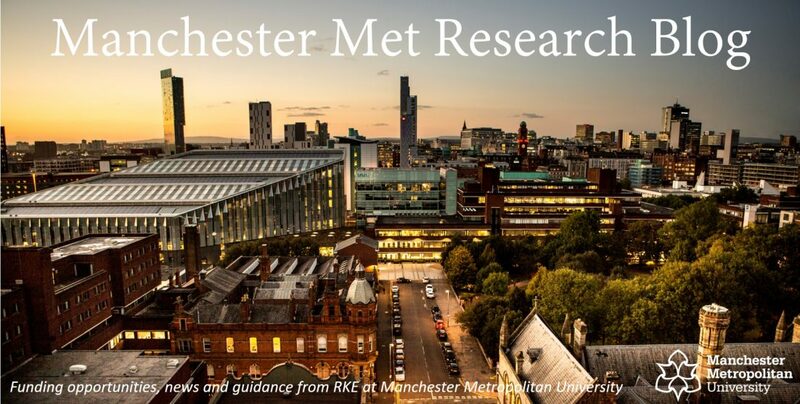 If you want to find out more about Manchester Met’s approach to open access, we can highly recommend taking a look at the pages here. Categories: Funder Intelligence and Policy, Horizon 2020, Open Access | Tags: Europe, European Commission, European Union, Horizon 2020, Open access, Open data, Open Science, Research | Permalink.